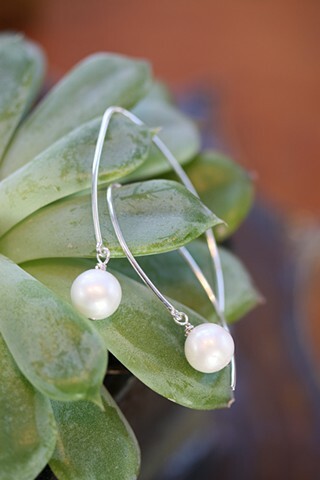 Round fresh water pearls hang on long sterling ear wire. Approx. 1 1/4"